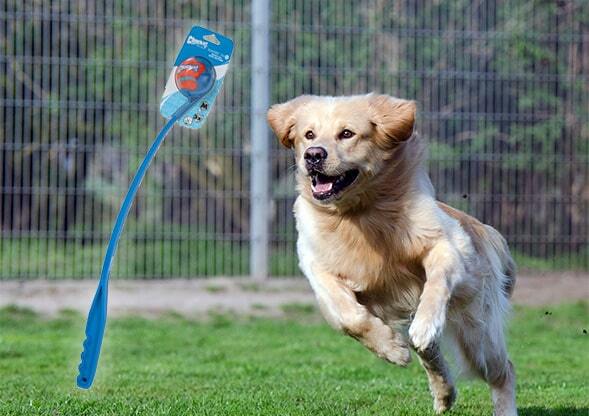 Get your dogs running – many of these toys get your dog sprinting which is something all dogs love! Your dog has more energy than you do – it’s not uncommon for dogs to have a lot more energy to burn than their owners, so you might need some help tiring your pooch out. 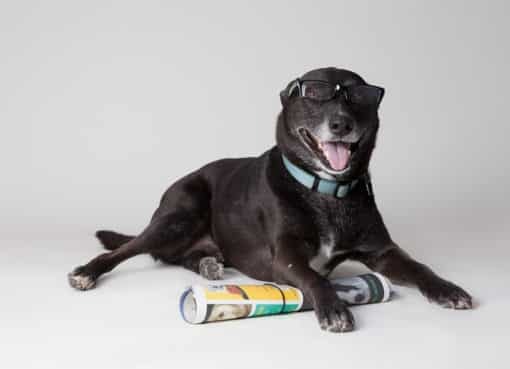 More mental stimulation – these awesome dog toys offer the opportunity for both mental and physical stimulation of your dog which keeps them happy and healthy. Unleash their instincts – most dog breeds love the thrill of the chase, so sprinting after a toy is something they were born to do. Have fun training – dogs love the reward of being able to chase their favorite toy, so naturally this is a perfect training opportunity. You can have your dog practice sitting, staying, and fetching. There are clearly some excellent benefits to exercising your dog with these dog toys, so check out the table below and then we’ll dive deeper into each of these best toys to exercise your dog. 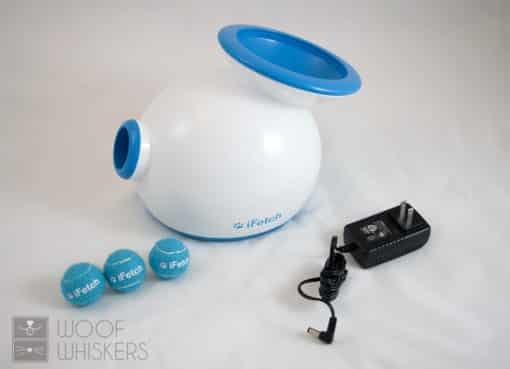 Automatic dog ball launchers are the perfect for exercising dogs, and especially smart dogs that can figure out how to drop the ball into the machine themselves! Dog ball launchers sit on the ground and can usually be powered via a standard wall outlet, or by using a set of batteries in the machine. Once a ball is dropped into the opening, it will fire the ball for your dog to fetch! Automatic dog ball throwers are great because once your dog figures it out, he can play fetch with himself! While your dog is still learning the system, a human can still drop the balls into the launcher which can save you from having to throw the ball yourself which is especially nice if the ball gets wet and slobbery! Check out a list of our best automatic dog ball throwers to see which of these machines we like the best! The biggest downside of these throwers are they are significantly more costly than most the other options on the list, so keep in mind you’re paying for the automatic aspect. The long handle lets you pick up a ball without having to bend over to the ground. 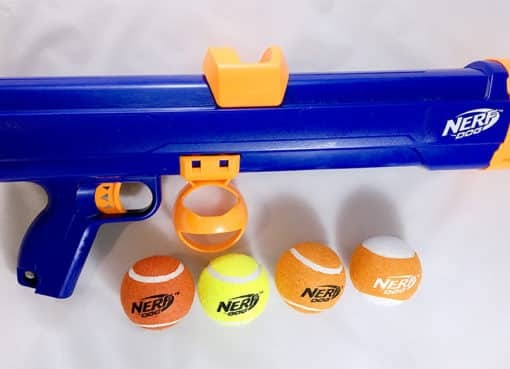 You can scoop a ball into the launcher directly without ever having to touch the ball – no slobbery hands! With some practice, you can fling the ball great distances with not much effort. Manual ball launchers are very affordable, though some people may find them awkward to use or control. The best known variety is the ChuckIt! brand. If you like to ride a bike, then consider buying a dog bike leash and take your pooch with your on your next ride! 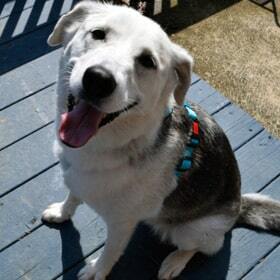 A dog bike leash will let your dog safely run along with you on your ride and are specially designed to keep your dog at the right distance as you ride, and won’t crash your bike if your dog pulls. It’s possible not all dogs are confident enough to run along side a bike without panicking, but most dogs are able to adjust and enjoy the opportunity to run with their owner at speeds they usually don’t get to exercise at. A “flirt pole” doesn’t exactly sound like a dog toy, and it doesn’t look like a typical dog toy either! It looks more like an oversized cat toy than something you’d use with your dog! Works great for small spaces. If you don’t have a big open yard to work with, you can get an excellent workout for your dog in just a 10 foot by 10 foot space. Doesn’t require much effort on your part. While a flirt pole will get your dog jumping and running, it doesn’t require much effort for you to use or set up. Flirt poles are generally a “one-size fits all” for use with any size dog. You can usually get different attachments as well for the end if your dog prefers one type of toy over others. You’re no doubt familiar with a treadmill, but did you know they make them specifically for your four-legged friend? A doggie treadmill is the ultimate in space-saving exercise as it gives your dog unlimited walking or running time with no space requirements. To many dog owners in city apartments, a dog treadmill is a godsend! Dog treadmills also offer the advantage of letting your dog exercise inside when the weather outside is too harsh for your dog. You don’t want your dog to overheat in the summer or freeze in the winter, so staying inside is the best way to make sure the weather doesn’t harm them. Dog treadmills have a few items to take into consideration, one of which is asking yourself if your dog will be able to adapt to walking on the treadmill. Some dogs may find it very foreign and confusing, so it may take some training to get them used to the treadmill. You will also want to make sure you have enough space in your home or apartment for the device itself. Some dog treadmills are longer than a human treadmill to accommodate the 4 legs of your dog! Check out our guide to the best dog treadmills for more information.